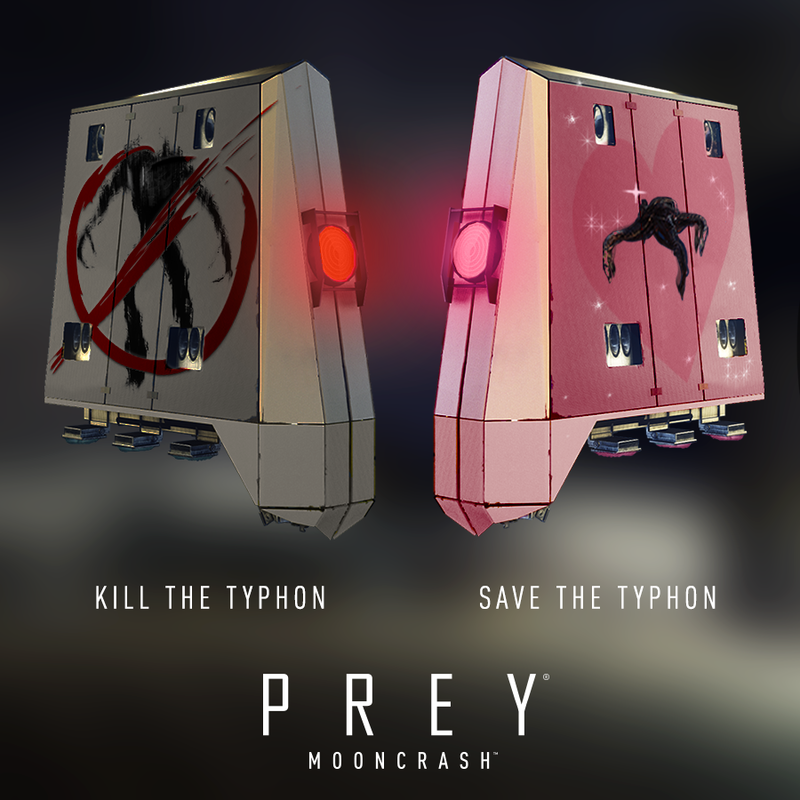 Those who are tuned into Summer Games Done Quick this week have a chance to decide on a new skin for Prey: Mooncrash's upcoming Typhon Hunter update. Summer Games Done Quick is in the middle of a Metroid: Samus Returns speedrun, as of the time of this article's post. However, the run was briefly interrupted with a special announcement from Bethesda. Summer Games Done Quick donors will have an opportunity to decide the next Operator Skin for Prey's Mooncrash DLC. The skin will be determined by whether or not runner LifeL1ke kills or saves the Typhon during his Prey run, which is set to take place this Thursday at roughly 4:30PM PT. The Mooncrash DLC released earlier this month during Bethesda's E3 2018 presentation. The "rogue-lite" add-on has players scrambling to escape TranStar's moon base before the Typhons take it over. The Operator Skin will be added to the upcoming Typhon Hunter multiplayer mode, which pits a single player against five other human mimics. The Typhon Hunter update is set to hit later this summer.